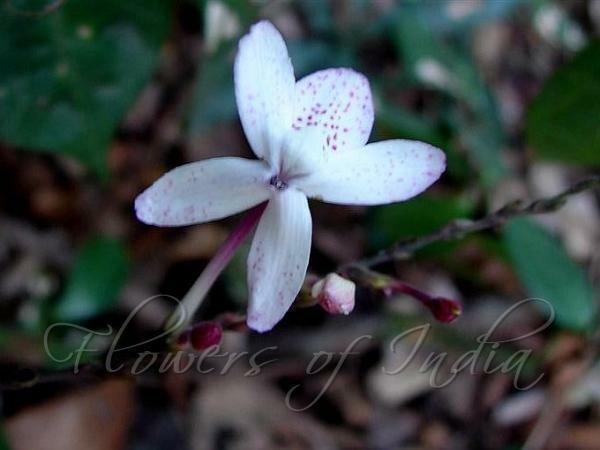 Malabar False Eranthemum is a woody plant, about 2 ft tall. Leaves are elliptic or ovate, narrowed at both ends, hairless. They can grow to 5 inch long and 2.5 inches wide, with somewhat wavy toothed margin. Nerves are 6-7 pairs, and the stalk is about 8 mm long. Flowers are borne in 4-9 inches long spikes. They are white or yellowish, 2.5-4.5 cm across, somewhat two-lipped. Sepals are about 4 mm long, nearly linear. Capsule is about 2 cm long, cylindric. 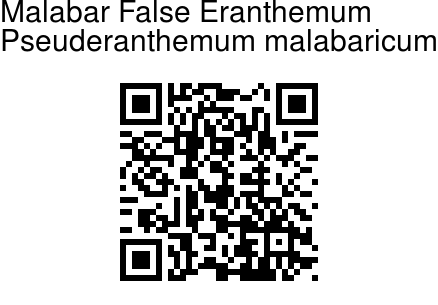 Malabar False Eranthemum is found in peninsular India.